We started to sell a small amount of samples for BTO coated LCO powders (~50g). 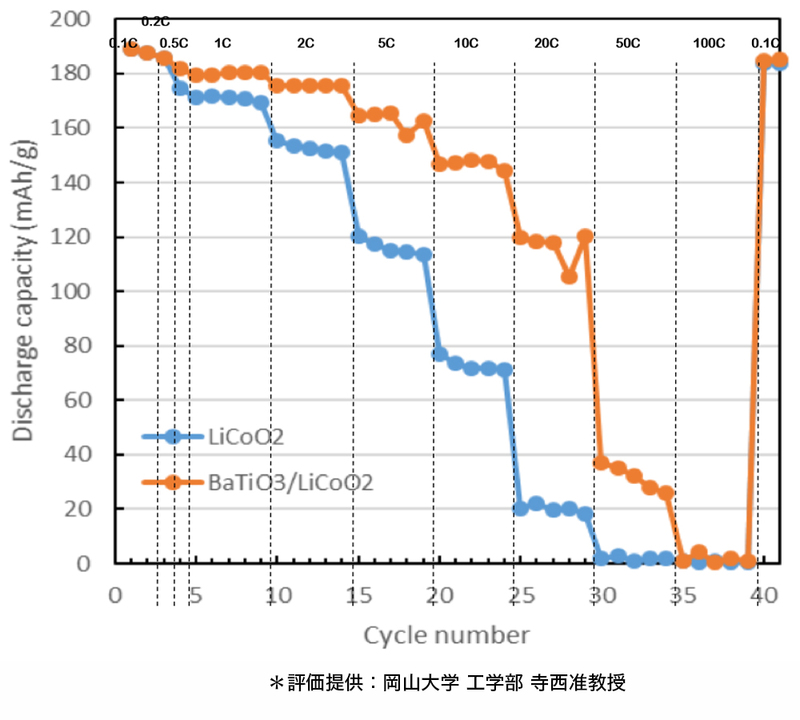 When LiCoO2 powder coated with BaTiO3 is applied to the positive electrode material charge and discharge at higher rate can be realized compared to LiCoO2 only. Please make inquiries using a contact form on our website. As for this material, the mechanism of characteristic improvement was verified at Tokyo Institute of Technology and Okayama University. Please see the links below.